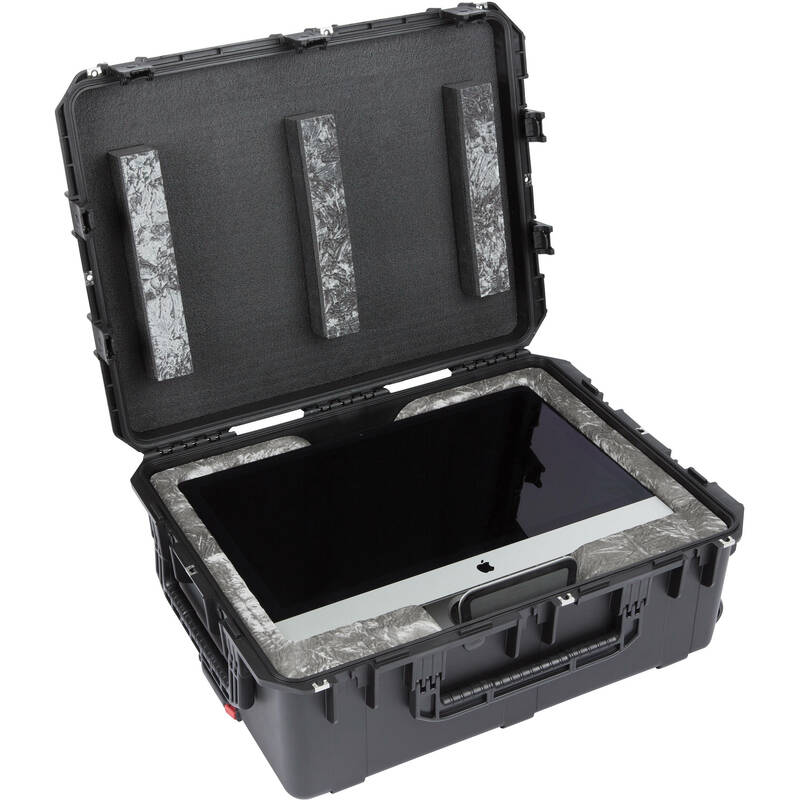 Safely transport your system with the iSeries Waterproof Custom 27" iMac Case from SKB. This case features a durable exterior and a custom plush-lined interior for not only the system, but also accessories such as the keyboard, mouse, and cables. It's also built with TSA-retrofittable trigger latches, quiet wheels, and a one-button pull handle for travelling convenience. Made from high-strength polypropylene co-polymer resin, iSeries waterproof cases are gasket-sealed, water-submersible, and dust-proof. They also have a molded-in hinge, a trigger release latch system, a snap-down rubber cushioned grip handle, and an automatic ambient pressure equalization valve. The iSeries line is resistant to UV, solvents, corrosion, fungus, and impact damage. Box Dimensions (LxWxH) 32.0 x 25.5 x 12.5"
Will this also fit the iMac Pro 27? Hello Joe Yes, it will also fit the iMac Pro 27&quot;.